The finale episode of the ABS-CBN primetime romantic drama series Dolce Amore, starring Liza Soberano and Enrique Gil, will run for an hour. Showbiz reporter MJ Felipe confirmed this in a Twitter post. "THIS JUST IN: CONFIRMED - Dolce Amore Finale tomorrow will run for an hour," he tweeted. THIS JUST IN: CONFIRMED - Dolce Amore Finale tomorrow will run for an hour. The teleserye, which airs Mondays to Fridays after FPJ's Ang Probinsyano, will have a "top secret" finale episode. "Dolce Amore finale episode is top secret. Got all the details and it is exciting! Fans will love it," Felipe added. Dolce Amore finale episode is top secret. Got all the details and it is exciting! Fans will love it. Liza in a recent interview said the ending of Dolce Amore will depend on the feedback from social media sites. "Kasi kahit kami, hindi namin alam kung ano ang magiging ending," the actress said. "I think most of the time, our script, we base it on what the viewers want to happen. So it's up to you guys." 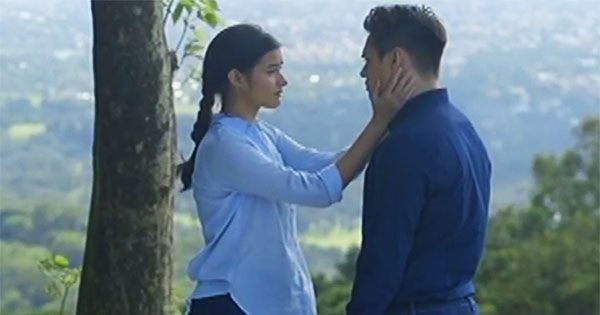 Directed by Mae Cruz-Alviar, Cathy Garcia-Molina, and Richard Arellano and produced by Star Creatives, Dolce Amore ran over 130 episode in more than six months since its pilot episode aired on February 15, 2016.